Living in Los Angeles, one may notice that there may be a wide array of fees that different dental offices charge for dental implant services. First, as you would expect, every case is in a way unique in its own and each may require different types of treatment for the most ideal and long lasting treatment resullts. For instance the treatment for a missing tooth area is very different than the treatment required for an ill-fitiing denture patient who is interested in a nonremovable (fixed prosthesis) with dental implants. Secondly, there is a wide range of expertise amongst different dentists in Los Angeles and all over the nation and naturally their qualifications and capabilities are different. 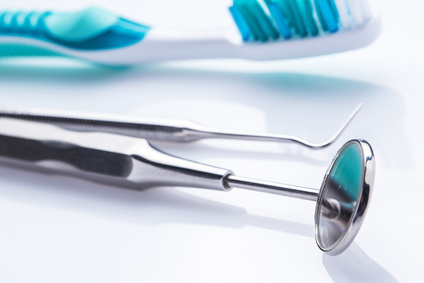 The American Dental Association does not limit the scope of a dentist in the services they render and leaves it up to the clinicians to decide what services they choose to practice. Even though many dentist seem to be qualified in the arena of dental implants, We believe that dental implant placement are best performed by board certified specialists who go through graduate level university training as part of their formal specialty education. Unfortunately, some clinicians may place dental implants or may perform surgical procedures after a weekend of taking continuing education courses. Dental implants have a very high success rates in multicenter studies performed by very highly skilled experts in the field. We are not so confident if these same highly successful results would be reproduced if the clinicians did not have the same qualifications. Our office is designed to provide you with the best dental implant treatment from the time you make your appointment for a consultation. Our office is equipped to provide our patients a wonderful personal experience with maximum comfort. We can handle and treat any surgical treatment that pertains to dental implant treatment from a single implant tooth to a full mouth rehabilitation with dental implants supporting a full fixed prosthesis. Whether you have had a bad experience with failing implant or previously failed implants our office can help guide and treat you for the best treatment results. Best of all our mission is to offer and deliver the most cutting edge and the best functional and cosmetic results you deserve with the most competitive fees. In addition, we do our very best to help you with your dental implant experience by offering zero percent financing through an independent finance company. We encourage you to call and come in for your initial visit and meet our board certified specialist, Dr. Peiman Soleymani and his friendly and helpful staff. We are confident that you will be happy with your choice.